Benoit “Gunfight” Arquilla, a French fighting game competitor living in Japan, proved the community’s age-old “never give up” adage still holds true in 2017 during a recent Street Fighter V live stream. After getting rocked by a strong Laura player named Suika during the final round of their online match, Gunfight was able to mount an impressive comeback that left his opponent reeling. The best part? He was sure he was finished right up until a clutch trade turned the tides in his favor, declaring, “I’m dead,” as he was getting thrashed. Thanks to an unfortunate stun, Gunfight was left with a huge health disparity. His character, Street Fighter III protagonist Alex, excels when he can invade an opponent’s personal space, but Laura, often regarded as one of the scariest characters in Street Fighter V, is more than capable of keeping him at bay. The utility of her slow-moving fireball means she can loose the projectile as both an offensive and defensive tool, and Suika used this as an active threat as they tried to close out the match. Despite his earlier prediction, Gunfight soldiered on, landing a clutch trade against one of Laura’s fireballs with Alex’s far-reaching heavy kick, which puts opponents in a unique crumple state when used as a counter attack. From there, Gunfight dished out a devastating combo, hit Suika with another counter, and closed out the round with Alex’s cinematic super. 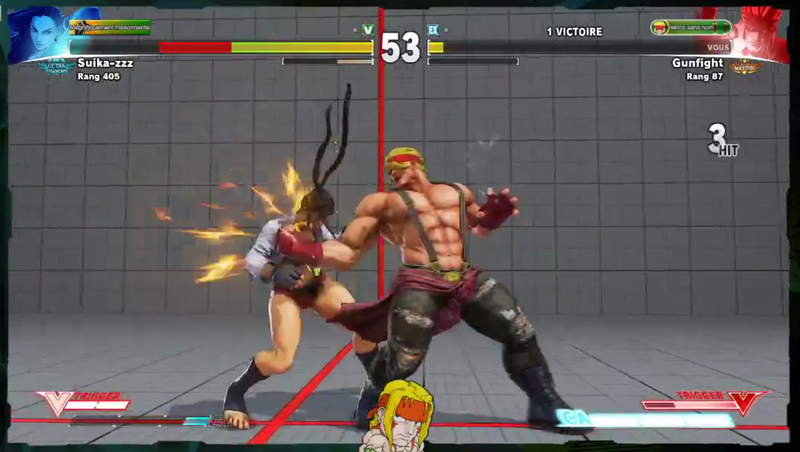 As an Alex player, Gunfight is no doubt accustomed to being blown up by relatively stronger characters like Laura, but this clip shows that there’s always a sliver of hope. Never give up!